January 2019 311 Followup: TREES! Street Trees! A thing we can’t live without and unfortunately requires a lot of day-to-day oversight/haranguing of DDOT’s Urban Foresty team. 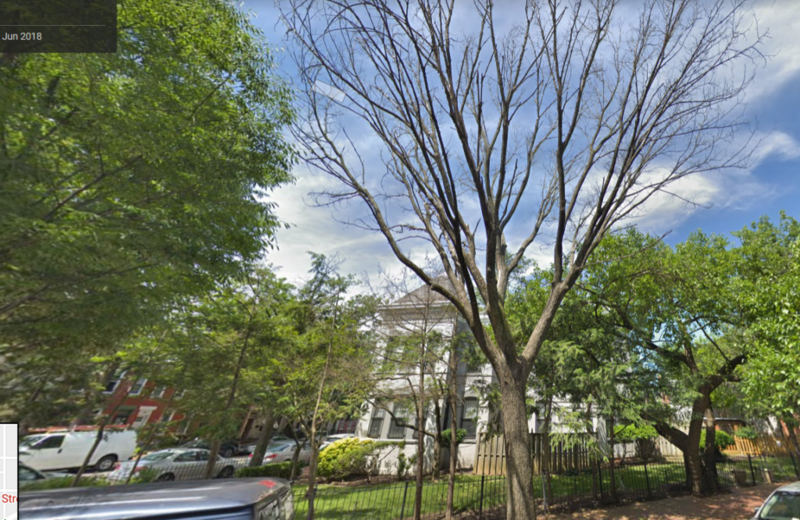 Winter is an especially productive time for tree requests as most services can only be performed when the tree are dormant (this is especially true for the remaining old growth elms on Kentucky Avenue). 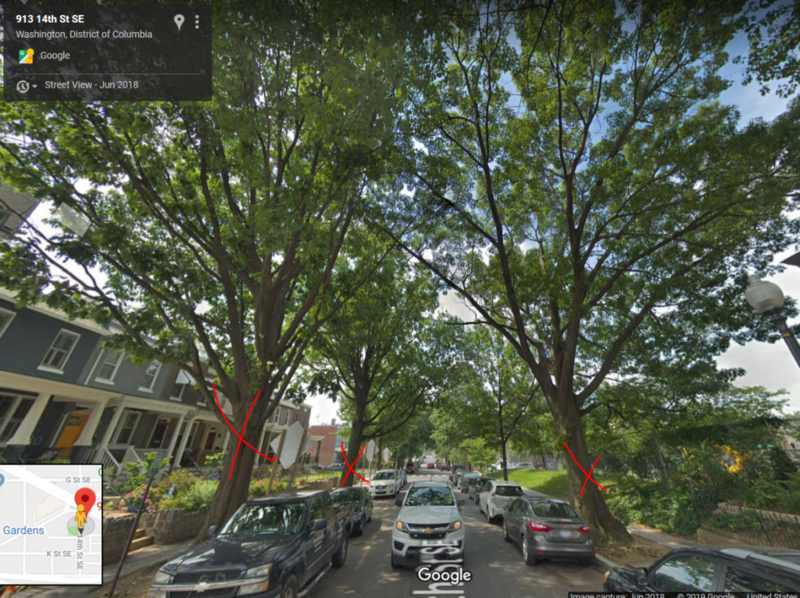 For my initial foray into 6B06’s backlog of 311 requests, I delved into all tree related requests in 6B06 in the DC Open Data set (which starts completely in 2012). There were 549 requests in 6B06 during that time. This relatively young elm on the 400 block of Kentucky, unfortunately, will have to be removed sooner rather than later. I presumed pruning requests from before 2017 and inspection requests before 2017 without comments were resolved. This eliminated 177 of the 549 requests, leaving 372 requests. From here, I got to walking around the neighborhood. 351of the 372 requests were completed or presumed completed (it’s difficult to tell if pruning needs were met without leaves). Many of these had closed work orders associated with them making the job a bit easier. Open work orders that are simply working through the DDOT system. In many cases, these trees are dying (not dead) and can probably last another season. However, I will ensure all leaf out in Spring before summer tropical weather and ensure emergency removal if they don’t. Work that requires a medium-term effort (in many cases, these involve construction-related trees). As commissioner for 6B06, I will work with all the developers to ensure they replace their damaged trees and beautify their streets when their projects are done. These three 100-year olds will be removed form the 900 block of 14th Street SE. It’s sad to see, but it’s important to make 311 inspection requests whenever you see fungal growth, failure to left out, or physical damage. This entry was posted in Uncategorized on February 1, 2019 by corey.